Does hypnosis work in Milford CT? What is so confirming as a hypnotherapist is that the mainstream media is beginning to move away from the negative exaggeration of what hypnosis is and more towards positively exploring what hypnosis is and what it can do to help people stop smoking, lose weight, clear phobias, drop habits, Manage pain, increase fertility and and so much more. 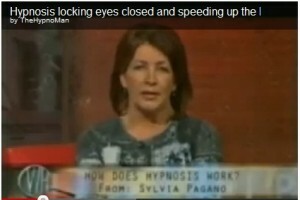 A recent program on Australian TV does a good job of demonstrating some of the basics of hypnotherapy and why it works. If Hypnosis works in Australia, it will work here in Milford Connecticut!